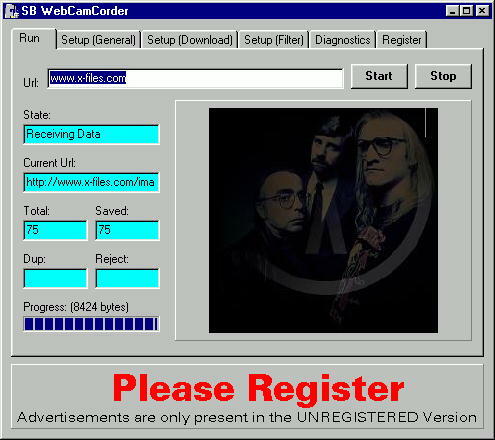 Click here to return to the SBWebCamCorder home page where you can download the software! In addition to what you can see above, there's an extensive setup page with options for enabling the auto-restart feature and support for proxy servers. There's also a duplicate rejection feature that will reject duplicate files and remember duplicate URLs. The spider settings allow you do decide whether you want to capture a single web page or an entire web site. You can also limit links by the depth from the root page. Authentication allows you to configure names and passwords for pay sites.